Power Rankings are pointless fun, particularly in the pre-season. The Western Conference is a mess of talent and outside of the top three, it's a difficult selection. You might as well be playing darts with some of these rosters and power rankings. Nonetheless, here are your pre-season rankings for the West. 1. LA Galaxy: It's hard not to think the Galaxy will repeat. They have the best coach in the league and an offensive setup that is beyond impressive. The team boasts David Beckham, Robbie Keane, Mike Magee, Landon Donovan and now Edson Buddle. Do not underestimate that deadly combination of Donovan/Buddle who were an absolute terror in 2010. Couple that with Juninho's return and all the pieces are in place for a repeat of the title. The loss of Omar Gonzalez to injury is an unfortunate one, but with such a powerful surrounding cast, it's likely that the team will be just fine. Josh Saunders has performed admirably in the past and there is no reason to think this will not continue into 2012. Especially exciting is the amount of young talent on the roster with such fantastic role models surrounding them. 2. Seattle Sounders: The Sounders have managed a rare feat in that they've been a contender in every year of their existence. The three time US Open Cup winners welcome Steve Zakuani back from injury and the moral boost from his presence can not be underestimated. Zakuani's arrival will inspire not only the players around him but the rabid fan-base who so vehemently support their team at Century Link Field. Brad Evans, Fredy Montero, Alvaro Fernandez and Osvaldo Alonso all return as the core of the team with several players emerging as powerhouse starters in 2011. The team will rely on a new goalkeeper with Kasey Keller enjoying retirement. The potential benefit and arrival of Eddie Johnson could finally be the answer to the question Seattle has been asking for three years: who should partner with Montero? All in all, expect the Sounders to be a force in a stacked conference. 3. Real Salt Lake: Was there any team that suffered a more roller-coaster like season than RSL last year? The emotional ups and downs that this group endured in 2011 is well documented. That Jason Kreis was able to navigate the injuries, the CCL heartbreak and the league while still being competitive is reason enough to credit the team with powerful potential. The team loses Andy Williams and Robbie Russell, but otherwise they have largely remained unchanged. Beckerman, Borchers, Gil, Johnson Rimando and Morales all remain forces to be reckoned with. There is no reason to think the team wont challenge LA and Seattle for top seed in the West. Oh yeah, they also have Jamison Olave. He tackles people. 4. Portland Timbers: Towards the end of 2011 the Portland Timbers showed what they could be capable of. In the off-season, they've only gotten stronger. While Kenny Cooper has left to New York, Spencer has brought in Kris Boyd, a DP who is expected to challenge the likes of Henry, Wondolowski and DeRo for the Golden Boot. Darlington Nagbe is expected to continue his development as is Kalif Alhassan. Spencer will be expecting Futtan Danso and Mike Chabala to continue their contributions to the squad which gave them life in their inaugural season. It helps also that the Timber's Army have created a fortress of intimidation for any who dare step foot in their home. This team seems to have the most potential to make it big or crash and burn of any team in the west. Expect them to be a handful. 5. Vancouver Whitecaps: My goodness has Martin Rennie given us things to talk about since he's taken over the Whitecaps. Rennie has added offense and...well offense. Sebastien Le Toux, Lee Nguyen, Etienne Barbara and Darren Mattocks have all been signed to the offensive corp. Let the battle for Eric Hassli's partner begin. There are questions surrounding Lee Nguyen's abilities in an competitive league and whether or not Barbara can replicate his NASL success in MLS. Davide Chiumiento and John Thorrington give the midfield some bit but defense remains a bit of a mystery. 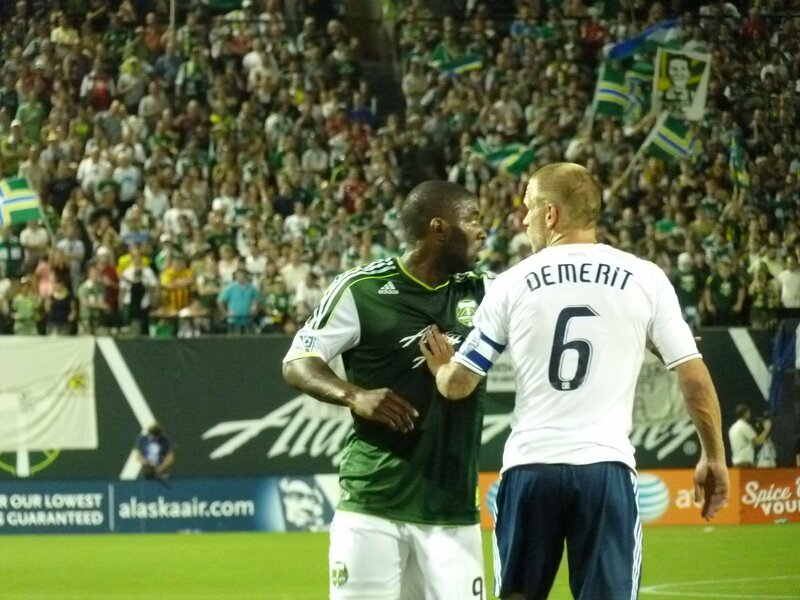 Can Jay DeMerit get healthy and be the player USMNT fans remember from the World Cup? The only real defensive additions of note have been Brad Knighton, who might be the most underrated goalkeeper in MLS, and Lee Young-Pyo. Goals will be score for this team, but will they be enough to put the team into the playoffs? 6. Colorado Rapids: The Colorado Rapids are a team which may suffer from a lack of focus. Injuries plagued their MLS Cup defense in 2011 and coaching distractions did them no favors. 2012 could be a rough year if Conor Casey cant stay healthy. Casey and Cummings will have to find their old form and put the ball in the back of the net to navigate the teams competitions this year. Matt Pickens returns after a solid campaign and Jamie Smith had some bright moments last year. 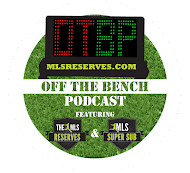 Jeff Laurentowicz, Pablo Mastroeni and Brian Mullan provide a formidable midfield, but will it be enough to best a playoff spot in such a stacked conference? Not likely. 7. FC Dallas: Likely the most debatable choice on this list. Having FCD rank so low seems a bit odd at first, but allow a moment for reason. Brek Shea was incredible last year, but Hyndman's overuse and over-reliance on him cause the team problems as they tried to navigate multiple competitions. Further more, speculation is rampant that Shea could leave in the summer. Daniel Hernandez is a great (and vocal) leader on the team but he's not getting any younger. It remains to be seen if David Ferreira can regain his form after a nasty ankle break in 2011. If he can, then Dallas has a shot at jumping up in the rankings. If not, then they could fall farther by the end of the year. Beyond Shea and Ferreira, who are the game changers? Marvin Chavez is gone and so is Jackson. George John has jumped ship as well. FC Dallas fans, the few and faithful, are in for a rough year. 8. San Jose Earthquakes: The Earthquakes did a good job adding players in the off-season. Marvin Chavez is a catch and the rest of their signings do give them some depth, but beyond Chavez the only real name on the roster to keep the team afloat is Chris Wondolowski. Wondo is a fantastic finisher and he's proven against any naysayers that he can keep them in games if given service. A strike partner is essential and it seems that Lenhart is the early front runner over Alan Gordon. A healthy Ike Opara could go a long way towards helping the squad climb the charts, but depth is a huge concern. Here's hoping the team can find some magic and add momentum to their "Build It Now" campaign. 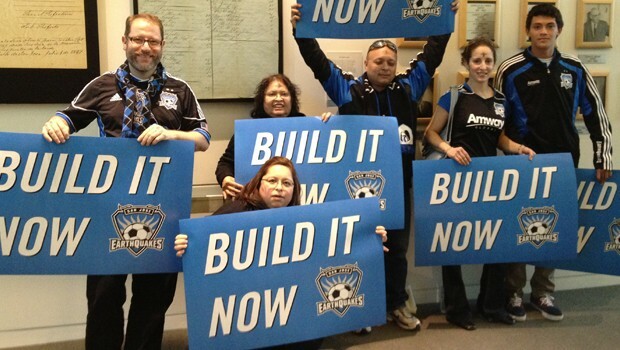 Those are loyal fans in San Jose, they deserve a stadium. 9. Chivas USA: Juan Pablo Angel fits into their plans nicely and the signing of Casey Townsend has potential, but to see the goats go anywhere in 2012 will be a miracle. They are in a stacked conference and after losing Justin Braun (whose importance is debatable) Zarek Valentin and Paulo Nagamura, much of the bite in this squad is gone. Their midfield looks weak and their defense looks weaker. It is hard to imagine them anywhere but last place this season. I'd pretty much agree with all of these. I think Vancouver is a real dark horse and could finish in front of Portland. Vancouver and Chivas will surprise I think. With Vancouvers pick ups they will do great. Chivas will do worse than expected. Think you did a good job on analysis- pretty much agree with it all, and logically makes sense! Thanks for the in-depth post! Yeah Luke, I think I agree much more with the West than I did the East. Frankly, I think the West is fairly straight forward. Caps will do much better this year than this past year. Rapids and FCD are on the decline. The East is much hard to decipher.